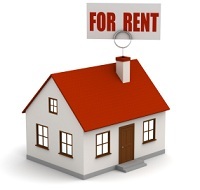 Q: I have been renting out my property for 4 years but I have only just started to make a profit. Do I have to do a tax return? A: Unfortunately you were obliged to file and income tax for the year of your first rental. At this point you should have registered for income tax, informed your mortgage provider that the property was now “an investment or let property”, registered your first tenant with the Private Residents Tenancy Board (PRTB), registered the Property with your local authority to arrange payment of the Non Principal Private Residence (NPPR) charge and also notified revenue to cease any mortgage tax relief at source on this property. You may be faced with significant late fees with regard to the PRTB, NPPR and your obligation to file an income tax return (regardless of whether the property was profitable). Please note the NPPR ceased to exist in 2014. You will also be liable to Household and Local Property Charges outstanding on the property. Your local TaxAssist Accountant can help you get your affairs in order contact us on 1890987609 today.